Our strategic Midwest location in Evansville, Indiana provides you with prompt, convenient and cost-effective equipment shipping anywhere throughout North America. 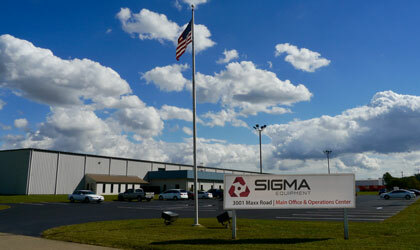 SIGMA Equipment is located just minutes from the Evansville Regional Airport and with immediate access to major highways and railways. SIGMA's professional warehouse team builds custom skids and crates to resist damage during transport to locations around the world. Our three warehouses have more than 800,000 combined square feet of secure, climate-controlled space. 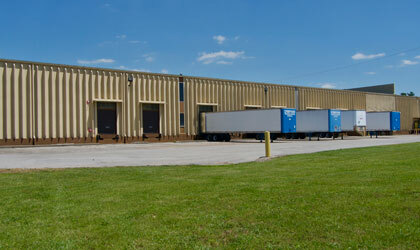 Our Maxx Road Warehouse is our headquarters and main warehouse for shipping and receiving operations. The 130,000 square foot facility has 8 dock loading doors, plus a drive-in ramp for equipment loading and unloading. 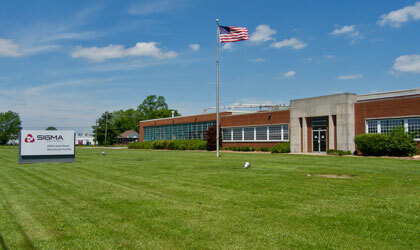 Our Lynch Road Warehouse provides nearly 240,000 square feet of warehousing space. The facility features 16 loading docks and interior rail access. 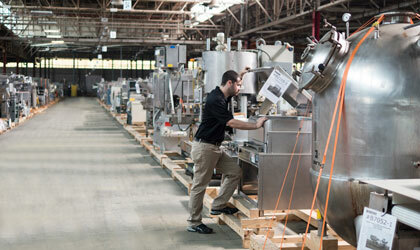 Our St. George Road Warehouse is our largest and newest facility, with 460,000 square feet. In addition to large-item storage we use this warehouse to support our asset recovery program, SIGMA Recovery. Our team of experienced staff provides safe, professional handling of both inbound and outbound equipment. All SIGMA warehouses are protected 24/7 by security systems equipped with video surveillance, monitored and controlled by our management team. SIGMA facilities are kept clean and well-lit with a state of the art motion-activated lighting system. Temperature controlled buildings protect equipment from extreme heat, moisture and cold. Maintained Fire Protection Systems provide an additional layer of insurance for inventory safety and security. Our custom Warehouse Management System with end-to-end bar-coded inventory tracking ensures accurate storage and timely processing of your equipment.